This is an article that explores the relationship dynamics of women that can also enlighten men about the struggles that women face as sisters and in relationship to men. As women, in our thirst to feel loved we sometimes find ourselves behaving ways that can be perceived as needy, and we may say hurtful things that we don’t always mean. Often we start to complain or we try to control our partner because we are too afraid of losing someone we love, losing power, or we blind and ourselves and we don’t face what is really happening within us. Sometimes we say yes when we mean to say no, (or no when we mean to say yes) and then we become resentful that we don’t get what we want. These behaviors do not support us in having the kind of self empowerment or relationships that we desire. Let’s explore together, techniques of communication where we learn how to get our needs met without being perceived by men (or others) as whining, complaining, or controlling. We can help each other to break out of unhealthy patterns of communication and learn to ask for what we want while honoring our partners and relationships. I want to explore confidence building skills so that we are able to fully receive compliments as they are given and learn to recognize how beautiful, amazing, and powerful we really are. Let’s learn together about healthy boundaries. What is okay, and not okay with us? 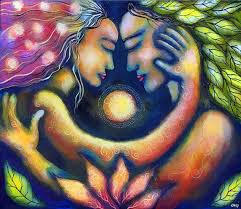 Let’s learn to express what we are really feeling, and say what we really want and as empowered Goddesses. We need to be able to ask for what we want from the universe! Clarity within ourselves and clear requests are the only way we can get our needs met. (Not through making demands of our partners). We also need to be able to accept NO as answer. 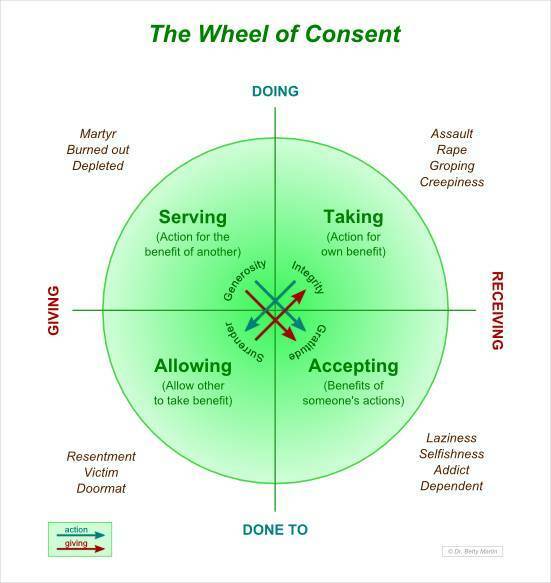 Let’s explore the wheel of consent so that we can take ownership of our actions and feelings and begin to return ourselves and our relationships to a place of balance with the healthy feminine and healthy masculine energies within. We can explore together what healthy masculinity and femininity means to us. Does acknowledging the strength or wisdom of an empowered man make us weak? Can we allow ourselves to feel safe in the arms of a strong man? Can we allow a man to be powerful without feeling threatened, or having to compete with him? Can we identify a toxic man from a good man and create healthy boundaries for ourselves? How can we know the difference between being manipulated and being loved? 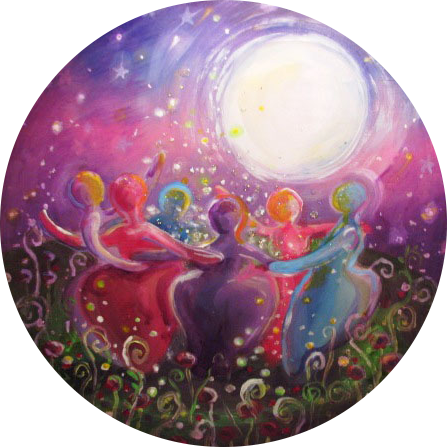 Imagine a supporting group of women (real sisterhood) that will help you to recognize how much we have in common with one another and allow us time to feel cared for. How about if we could be sisters and really support each other to grow? What if we were to create a sacred space to be loving towards one another in a way where we empower each other. Envision a space where we truly celebrate our sister’s victories, congratulating each other on our accomplishments (your new job, your awesome relationship, your body). We will also hold each other in moments of difficulties. I deeply desire this for you my sisters. Truthfully – I want this very much for myself as well. I want to create a sanctuary for women to become healthier and happier people. We don’t have to compare, or try to be just like each other. We can be our unique selves, celebrate who we are, and deeply understand ourselves and each other. Stay tuned. I have a strong desire to come back into service and teaching within our community. I am developing new classes, workshops, and seminars that I will be sharing with you very soon – for men, women, and mixed groups. I am so grateful for our connection and I truly love you. The #1 thing Successful Men are doing to Sabotage their Joy and Fulfillment?